We made image caching improvements to speed up your app navigation. 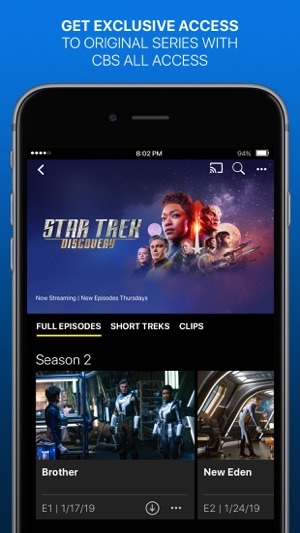 I signed up for the 1-week trial because I've been a Star Trek fan for 17 years and I wanted to watch Discovery in quality and also to support everyone's efforts (after all, they're using Trek as the flagship of this new streaming service and to heavily promote it). Unfortunately, the service has some serious issues. Even for the $6.99 a month, there are still commercial breaks set up as they would be on TV. That's one thing, and maybe it wouldn't bother everyone -- I understand that. But I have also had a very frustrating time getting Discovery, as well as other shows, to play without issue. Often, an episode won't start (the commercial beforehand plays flawlessly, however...) and instead hangs on a black or green screen. Other times, I get an error message saying CBS servers are unavailable. 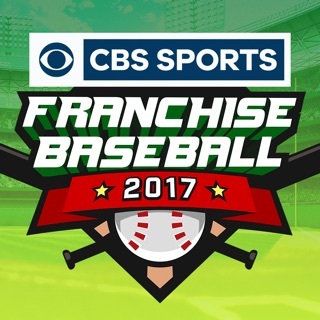 I understand this service is relatively new compared to the other streaming options out there, but since its launch, there has been plenty of time to work out the kinks, and it boggles the mind how CBS, considering the size and experience of this company, cannot successfully implement what several other companies have been doing for years. It just goes to show how far behind the times the people in charge are. I mainly was curious about Star Trek: Discovery. I don't mind paying for this. I think it's a clever value proposition: properly fund a series with a waning audience by putting it up a la carte with a 3-day trial. If it hooks you in, the fee is worth it for a few months, and if you don't like it, just cancel in iTunes. Certainly better than $80/ month cable or satellite for a bunch of nothing and more convenient than the traditional broadcast TV model. Plus, I'd hate to see Netflix become a total monopoly. Although I could just stream it to Apple TV through Airplay, I prefer navigating with a remote. (Also saves phone battery.) 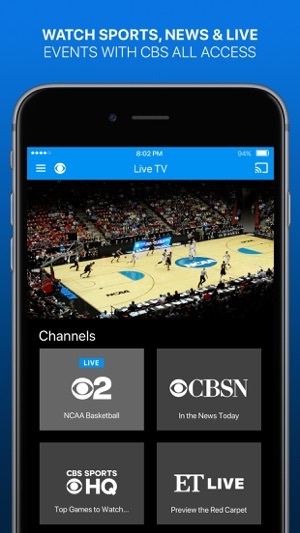 The CBS app is available on Apple TV but, in linking to the Apple-initiated account I encountered a slight hiccup. I had to reset my password on the CBS website, then check my e-mail, then change the password. For simplicity, I just put the same password right back in. It worked, but I'm a little annoyed that this process required racing back and forth between three different devices. Many people don't have the luxury of being able to check their primary e-mail on their phone. I am enjoying this app immensely. 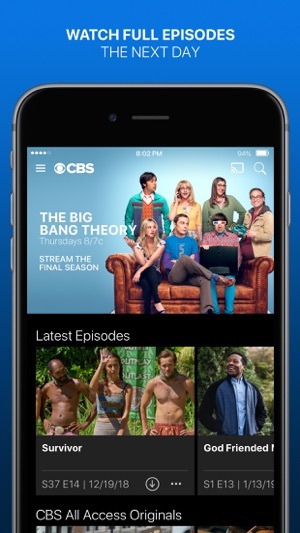 My one-week trial is now over and subscribing to CBS All Access has been a great investment for enjoying the content offered. I am internet-only through my cable company—no TV (and loving it). 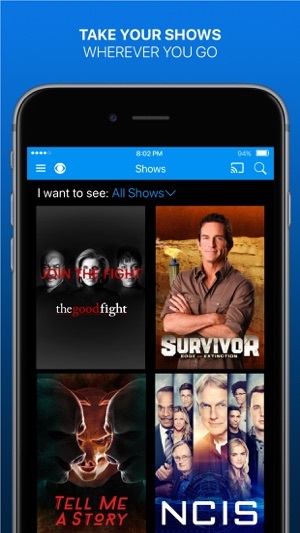 You get many TV shows with this app—current, new, and old—special presentations, news, and the livestream of CBS broadcasts; including affiliate news casts for your local area. 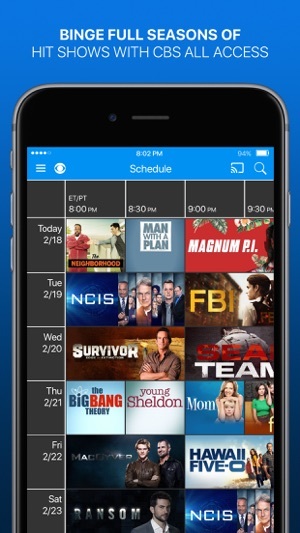 If you cannot catch regularly scheduled CBS shows on the livestream, you can alway watch CBS shows on YOUR time. Very convenient. Picture quality is good to excellent on the TV shows I’ve seen. Audio quality is also good to excellent. I have no buffering issues on my end or their end—I have 100 Mbps internet. The variety of content is excellent. 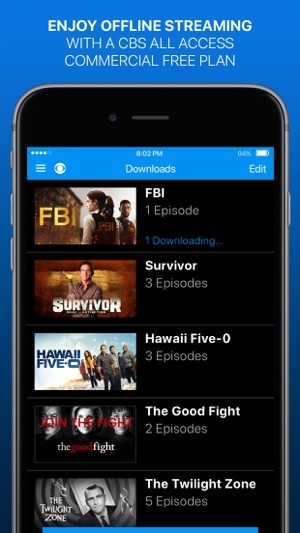 Only a few movies are available for streaming; this is mainly an app for TV shows, news, and CBS special presentations more so than for movies. Anyway, I am very satisfied. The subscription price is reasonable and the content is highly enjoyable! I use this app on my 12.9” iPad Pro, iPhone, and AppleTV-4!